Dr. Srilakshmi Angara is pleased to be able to offer her dental services in Pennington, Hopewell, Lawrenceville, Princeton and surrounding communities in New Jersey. She earned her BDS (Bachelors of Dental Surgery) from SCB Medical School, College of Dentistry from India. She subsequently attended New York University (NYU), College of Dentistry, and received her D.D.S degree. Upon graduation, Dr. Angara was the recipient of numerous awards and recognitions. Following that she completed her General Practice Residency from Tampa, Florida. Dr. Angara is committed to lifelong training as a way of offering her patients the best dental care possible. In order to provide high standard of care Dr. Angara actively participates in local seminars and completes continuing education courses. She is an active member of ADA, NJDA and Mercer County Dental Society. She is also the member of Academy of General Dentistry (AGD). 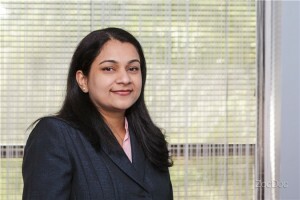 She is awarded as one of Top Dentists of America in 2012 by Consumer Research Council of America. Dr. Angara also enjoys working in the Community Health Center in Trenton, providing dental treatment to the patients in need of dental care, as well as volunteering to provide dental work in the local community. Dr. Angara lives in Princeton with her husband and two daughters. Her hobbies include listening to music, interior designing, gardening, volunteering, and spending time with her family.